Anne Kingsmill Finch was a high-born English poet who held the title Countess of Winchelsea. Unusually for someone in her position she took great interest in the political and social climate found in the late 17th and early 18th centuries. Her output of poetry was considerable and she was known for her skill in using Augustan form and diction in her writing. She was deeply religious and had a sensitive mind, writing plays and fables in addition to poems in a variety of styles. Although not recognised as a serious poet at first she became known for her diverse output and an intimate and very personal style, earning a certain degree of notoriety during her lifetime. She was born Anne Kingsmill in April 1661 at Sydmonton Court, the home of Sir William Kingsmill, and enjoyed an excellent education including European languages, religious studies and Greek and Roman mythology. At this time it was fairly uncommon for girls to be educated so well. At the age of 21 she went to St James Palace, the ruling monarch at that time being King Charles II. She was appointed maid of honour to Mary of Modena, the wife of the future King James II. Her interest in poetry developed during this time at the royal court. She was married within two years to a fellow courtier, a soldier named Colonel Heneage Finch and the couple went on to have a happy marriage. 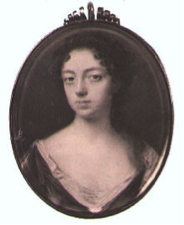 Her status was considerably enhanced when her husband succeeded to the title of 5th Earl of Winchelsea in August 1712, thus making her Anne, Countess of Winchelsea. By now she had the confidence to have her work published, using her own name, in contrast to earlier years when she saw other female poets such as Anne Killigrew receive derision from courtiers who thought very little of poetry produced by women. It was of considerable help to her literary efforts when her husband’s nephew Charles invited the couple to reside at his Eastwell Park estate in Kent. The Finches lived there for some twenty five years in peace and serenity. She wrote of metaphysical things, nature and friendship and her years of earlier depression seemed to be well behind her. Anne and her husband had suffered considerable stresses and strains brought about the changing political situation in the country and her health, naturally, suffered as a result. She became seriously ill in 1715 but recovered, at least temporarily. Lady Anne Kingsmill Finch, Countess of Winchelsea died on the 5th August 1720 in Westminster, London and was buried at Eastwell. She was 59 years old.